Natural beauty, exotic animals and birds, high volcanoes and ruins of great civilizations – Guatemala can offer all these and even more. This Central American country has become famous and loved by millions of travelers for its rich historic heritage and beautiful nature. Without a doubt, Tikal, which is located not far away from Flores, is one of the most famous destinations in Guatemala. This is the largest ancient Mayan city. Founded in the 4th century BC, during the period of its peak prosperity, Tikal was the most populous city of the Mayan world. The most famous temples of Tikal are the Temple of Cacao, Moon Temple, the Temple of Inscriptions, Temple IV and Lost World Pyramid. In addition to rich heritage, the city is located in a very beautiful place among rainforests, so in dense jungle visitors may see rare birds and exotic butterflies. Guatemala is also home of “the most beautiful lake in the world”. Lago Atitlan is surrounded by volcanoes, the most easily accessible of which being Pacaya. There are a geological museum and a geothermal generation plant near the volcano. Don’t forget to visit Semuc Champey with its marvelous turquoise pools and a natural limestone bridge in Alta Verapaz. After a long walk, there is nothing better than to bathe in hot springs of Rio Dulce. Travellers can also take a boat and reach the Caribbean coast from Lago de Izabel. Some of the best preserved rain forests in Central America are also located in Guatemala. Here travelers have a chance to see jaguar, toucans, monkeys, ocelot, parakeets, tapir, hummingbirds, vultures and many more species. Peten and Alta Verapaz are the best places to explore wildlife. 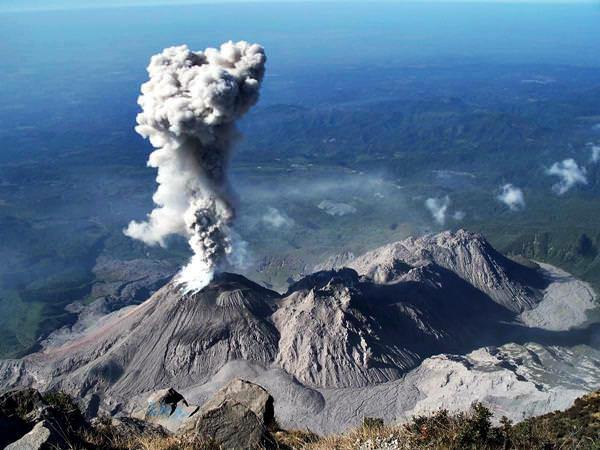 Of course, the capital of the country, Guatemala City, also has many interesting places. The most notable architectural landmarks include Cerrito del Carmen, Iglesia de la Merced, Catedral Metropolitana, Iglesia de Yurrita, Iglesia de Santo Domingo, and Calvario. Travellers are recommended to visit Kaminal Juyu as, according to archaeologists, there is an ancient city right behind the central part of the modern capital. Results of ongoing archaeological excavations can be seen on the site. The first big settlements in Guatemala were formed by the Mayans. The territory of the present country had been under them until the 9th century. When the Mayans left the lands they had inhabited, the desert territory attracted the tribes of the Toltecs and Quiche. The latter captured all small tribes living here. Exactly the Quiche formed the first state in the 15th century. It fell after 1523 when it saw the times of the active colonization. Spanish conquistador Pedro de Alvarado was the first to board the coast. Two years later, the Indians inhabiting the territory of the country were almost slain. Spanish colonizers started actively populating the territory. They were attracted by the deposits of precious metals they had found. The first liberation movements were established at the beginning of the 19th century. Guatemala officially gained independence from Spain in 1821. The modern country is considered one of the most contrasting in the world. Near unique attractions of the Mayan period, there are big cities with modern skyscrapers. Nature here also impresses with its diversity. There are volcanic areas, national parks with thick flora and incredibly beautiful lakes. 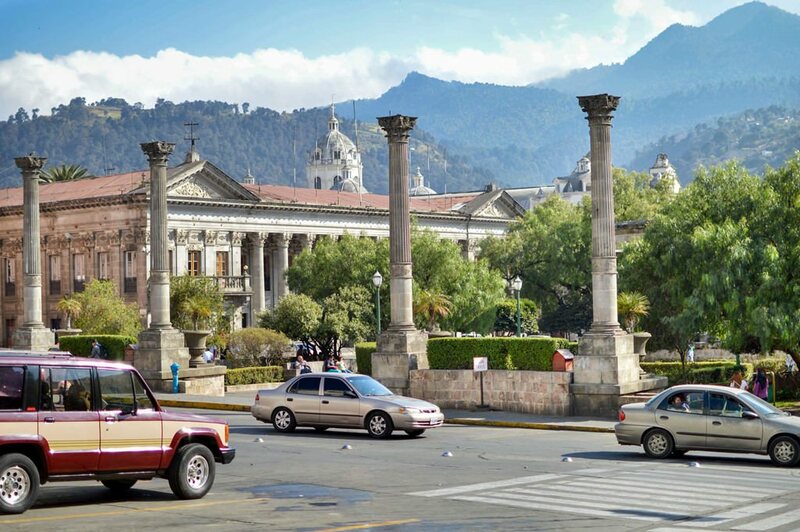 This article about iconic landmarks and sights of Guatemala is protected by the copyright law. You can re-use the content, but only under the condition of placement of an active link to www.orangesmile.com. Early 18th century was also marked by a strong volcanic eruption. That year the disaster occurred in Guatemala. In 1902, the eruption of Santa Maria volcano happened there. It is considered one of the most violent eruptions of the 20th century. The incredibly powerful explosion occurred after 500 calm years. The diameter of the crater left after that is 1 500 meters. The impenetrable jungle of Guatemala, inhabited by the Mayan tribes since ancient times, conceals one of the most mysterious artefacts on earth. 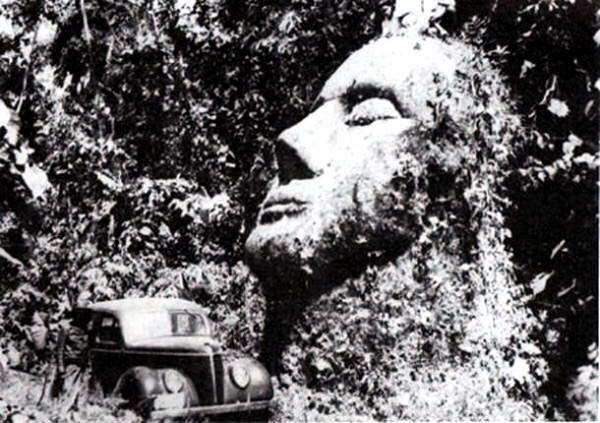 Here, in the midst of the luxuriant thickets of the exotic trees, lies the huge sandstone statue discovered by the researchers in the 30s of the last century. At first sight, the head of the impressive size seems unspectacular and reminds of the part of the statue of some ancient goddess. However, it is not so. The ancient Mayan city of Samabaj had been regarded as a legend for many years, till its ruins have been found in one of the lakes in Guatemala. 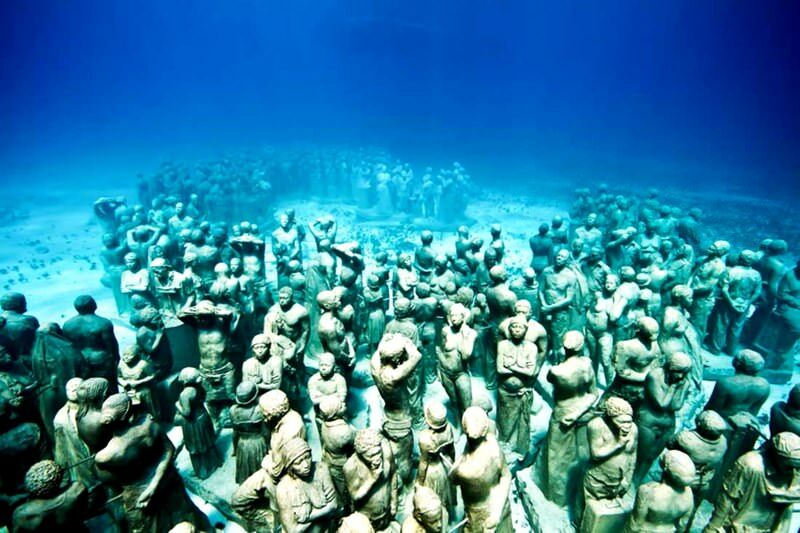 This important archaeological discovery occurred in 1996, and later, scientists were able to specify that Samabaj has sunken more than 3.5 thousand years ago. According to one of the most actual contemporary hypotheses, the ancient city has been situated on a small island that was completely flooded as a result of the earthquake.